While those meatsacks at Codemasters have been busy working away I’ve been teaching Ricket to read using your messages. I must say some of them were delightfully evil and we’ve even learnt a few new words. Being the inquisitive beings that you are it would appear that you had a lot of questions about exactly what it is they’ve been cooking up, so I’ve commissioned an informational video and ordered the reds to poke the “Codies” with hot pointy sticks until they answered your tough questions… Which we actually think they enjoyed – You’ll find their answers below. Why the change? Last two games were third person over the shoulder. Preferred the previous two games’ in that respect more so than this one. Feels more like a Diablo spin-off now. I’d like to have the gameplay of the previous two games, but with more content, more customization to my dark tower, more story development, that sort of thing. You’re right in that Overlord: Fellowship of Evil is a big change in some respects, but it’s also very faithful in others. This is the main reason we didn’t title it Overlord 3. We’ve never even used that name in the office. Once we knew the game was going to be a spinoff (pretty much day one) we realised that’s how the game needed to be. We needed to be true to things like Rhianna’s storytelling, the character of Gnarl (and getting Marc Silk in for the voice), the use of the minions (and that gameplay choice of deciding which to use and when) and the feel of playing as powerful evil characters. However, we also felt it was an opportunity to give fans something new and exciting; a new perspective, new characters, a new story and new features like co-op play. 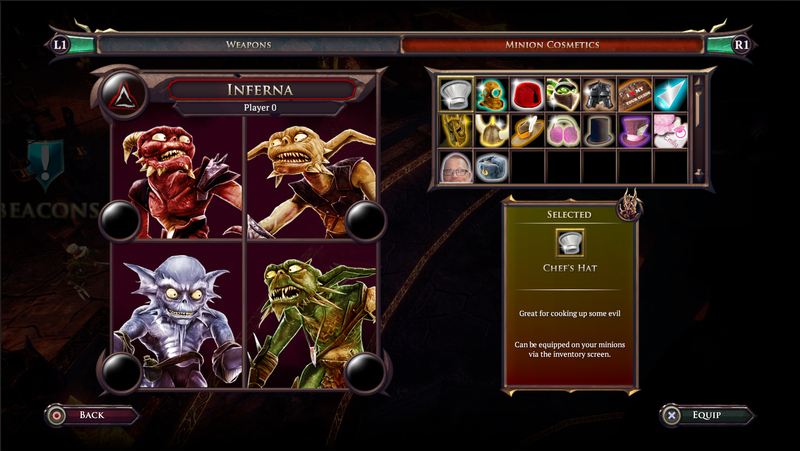 Fellowship of Evil lends itself to being both a solo or cooperative tale that doesn’t forget to invite the minions. For the first time players will have the choice to invite other players into their game offering a compelling competitive and also cooperative gameplay, where players can collectively experience the different play styles that the four Netherghūls have to offer while commanding hordes of rampaging minions. In terms of co-op, from an early point, we thought about how many co-op games only really “work” in multiplayer, but in an Overlord game, as players have minions, they can use them to fulfil the typical co-op roles. In effect, even in solo play, you’re never alone. This seemed like a unique opportunity to make a game that’s as fun for solo players as it is in co-op. The team are huge fans of games like Towerfall, Samurai Gunn, Rocket League… We play these games in local co-op every lunchtime. These experiences made us believe that if we were going to do co-op, we wanted it to work in same-screen as well as online. This works well with Overlord’s humour; like when you watch a comedy movie alone, versus with 4 people on the same couch. Many of these things have come as a surprise to our fanbase (we’re not blind to the YouTube comments), but I guess we just ask that fans give it a try – you might be pleasantly surprised. Of course, story is an essential part of the Overlord games and Fellowship of Evil is no different, delivering an evil, crude, and humorous story that has a few twists and turns along the way. Will this game be on the PS4 and Xbox One, or is it just going to be a PC only game? Yes, the game will be released for PlayStation 4, Xbox One and PC. All three versions (including PC/Steam) will allow for both online co-op, and local four player (but of course you can also play solo). By the end of this adventure, will a true new overlord be found to ravage this sickeningly good-a-fied world? Or are the minions doomed to wonder this Evil-less wasteland without a master forever more? We want to be careful with how much of the story we give away! The Netherghūls are fighting back from the brink of evil being vanquished, and have a long way to go before they redress the balance. This journey is just the beginning of that story, so players won’t ascend to the title of Overlord quite yet. However, in the very end? Well, as Gnarl says, “Evil always finds a way”. Will your new Overlord game have Online Co-Op ? and how long will the game take to beat? 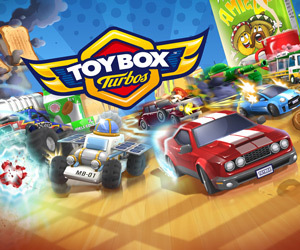 The game has both online co-op and same-screen co-op for up to four players. This works on all three platforms (PC/PlayStation 4/Xbox One). We’ve taken a lot of care to ensure that the experience is equivalent regardless of which way you play. Naturally on the console versions, each player uses a pad. On the PC version, player one can use a pad or a specific keyboard/mouse control scheme, though players 2/3/4 require pads. If you want to play solo, we cater for that option too. The number of enemies in-game is adjusted based on playercount. 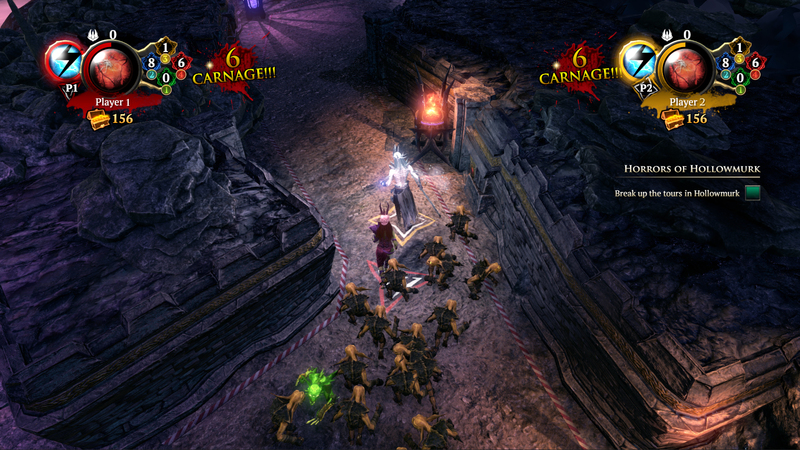 Also, whereas in a typical co-op title you’d be battling alone, in Fellowship of Evil you have the minions to assist you. Will there be an option to customize each character? The Netherghūls do not take kindly to being dressed in anything other than the armour in which they met their dastardly demise. However Minions will happily serve their master with an abundance of wacky and bizarre masks and hats that have been made for them by their very own tailor, Grub. 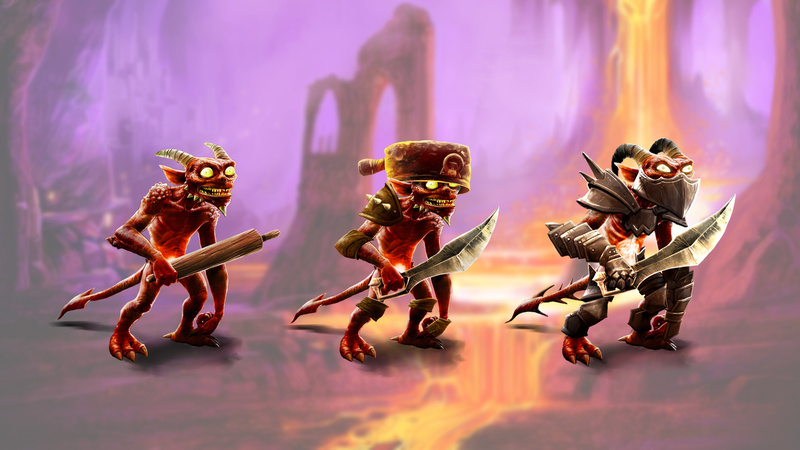 Our Netherghūls can wield a variety of weapons that are purchased from Ricket the weaponsmith and you can upgrade your Netherghūls as the game goes along, acquiring more powerful variants of their abilities. The minions work differently. Players gain the ability to summon all four minion colours very early in the game. After that, players can upgrade them by spending loot found during quests. The upgrades are colour-specific, so for example, brown minions will eventually gain an upgrade that allows them to taunt enemies for tanking purposes. 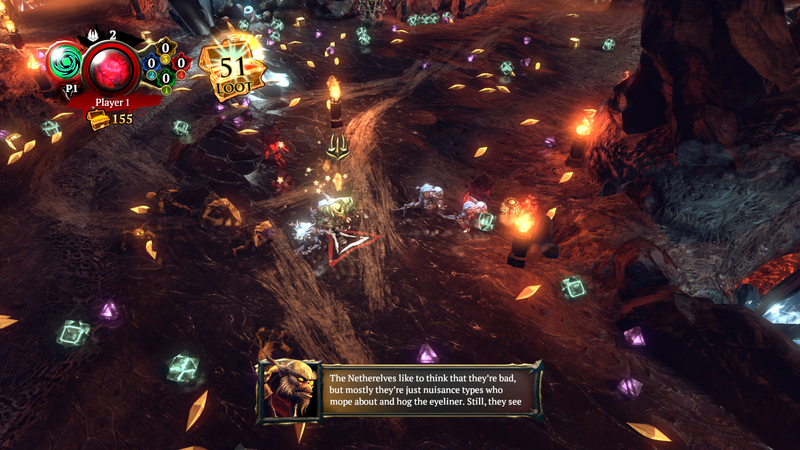 Players can focus on upgrading one minion colour, or instead spread their loot around all four colours, two colours, or any combination they wish. Will we see any returning characters from the previous games other than Gnarl? 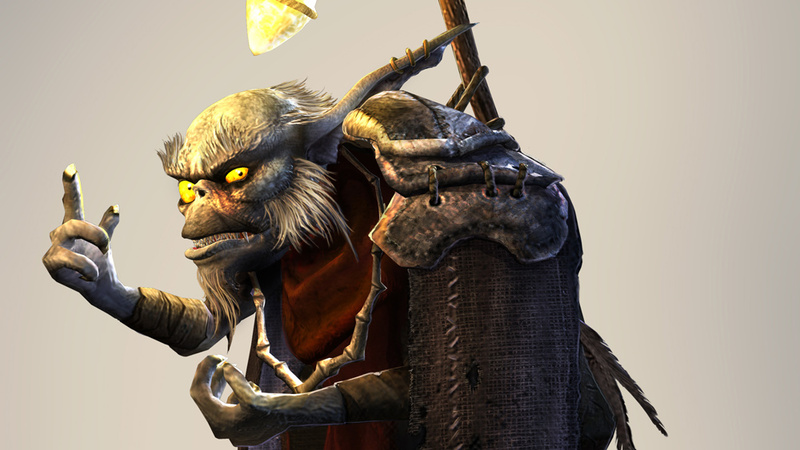 Gnarl is the only speaking character players will meet who comes directly from the prior games, but there are many references here-and-there to known Overlord characters and locations. Internally, we produced a timeline of key Overlord events for this purpose, so we could provide appropriate references. We also want to take this opportunity to thank the many people who have contributed to the Overlord Wiki. That thing’s been invaluable. The Overlord games have always been a very rich world with tonnes of history. Fellowship of Evil is no different, paying respect to times of Evil gone by. Minion Master for the Overlord currently seeking a new employer.